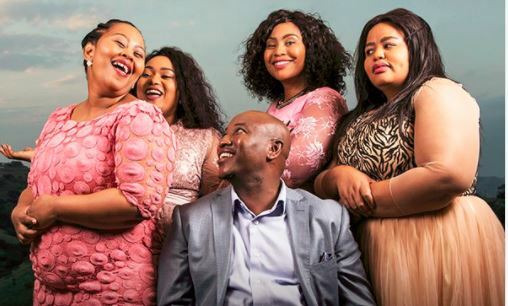 #Uthandonesthembu Last night's episode of reality show Uthando Nes'thembu was a roller coaster of emotions as fans were introduced to a woman who would have been Musa Mseleku's second wife MaSaule. The show, which is in its second season, revealed that Musa had a wife who died in a car accident before the family became television stars. It was revealed that her name was Sindi and that she went by MaSaule in the household. The episode paid tribute to her and viewers saw the family go her grave. She was apparently very close to MaKhumalo, who at the time was just Musa's girlfriend and was also friends with MaNgwabe. Twitter pointed out that Musa's first and second wife seemed to have not liked her because she knew about Musa's affairs. Viewers applauded MaSaule for the kind of wife she was to Musa, who showed sadness as he spoke about her. Sindy was already a wife. Futhi nje, she accepted every girlfriend. MaSaule was the real MVP 👏👏Imagine just being like "Bae, I have this flame of a friend that I think would be great for you"